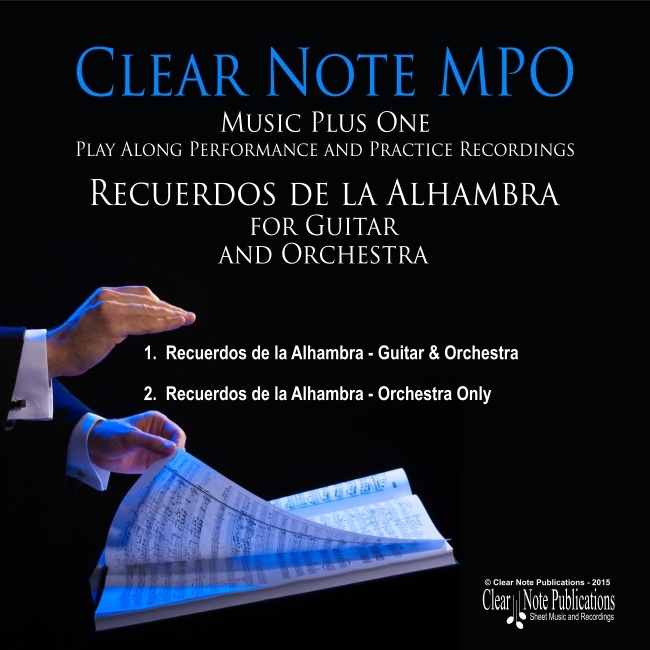 Thank you for your purchase of Recuerdos de la Alhambra (for guitar and orchestra). Now you're ready to download the audio files to play along with. To get started add your order to the cart and follow the prompts through the checkout process. Shortly after placing your order, you will receive an email with a link to the secure download page. Simply click on the link to download to your computer. There is a 24 hour limit on the download access, so please download the files promptly after receiving your email.